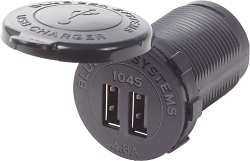 These 12 volt accessories by Blue Sea Systems are used in cars, boats, trucks and RV's to extend and enhance the original equipment . 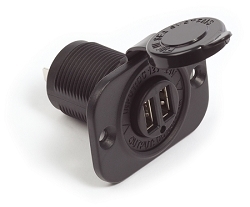 The USB charger socket is the single most popular item made by Blue Sea Systems. 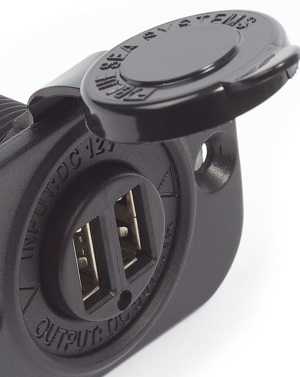 Its popularity is in part because its output power exceeds that of other brands and permits it to charge an iPad at its full rated charge. 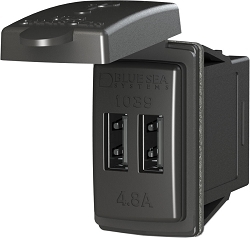 Of course the quality and reliability of Blue Sea Systems products may have something to do with its popularity too. 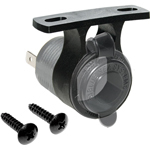 PKYS is always the first place to go for electrical equipment, components and accessories rated for use in marine applications. 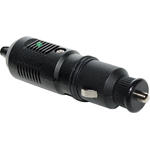 Our collection of 12 Volt Accessories by Blue Sea Systems offers superior performance and dependability, as well as providing functional versatility in even the harshest environments. 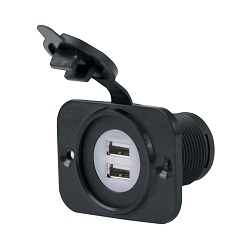 The Dual USB Charger Socket and Charger Plug are extremely popular products, as their 2.1 Amp rated output allows you to add a full charge to two different mobile devices simultaneously. 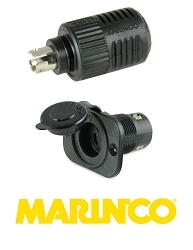 If your electrical needs require a little range, the Single 12V DC Plug with its single extension socket extends up to 6 feet to deliver the power wherever you need it. 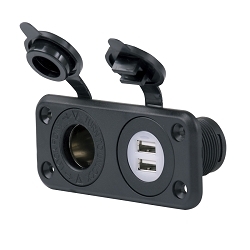 If you need any assistance with your order, or just aren't sure which product is the best fit for your needs, please call us during normal business hours at 410-280-2267.